Christmas shopping can be stressful when you don't know what to buy someone. Sometimes you walk aimlessly around the mall trying to get a Christmas gift idea for that special someone that is hard to buy for and just don't seem to find that perfect present. 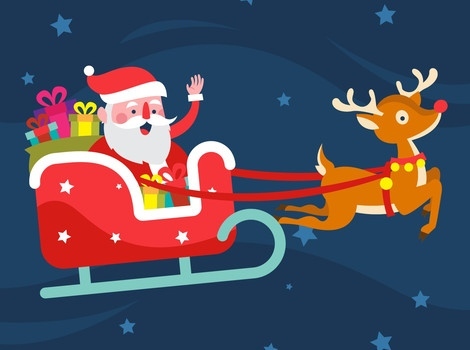 Kids can be just as hard to buy for as adults and you don't want to buy them something they won't use, need or like so, Hellokids.com has some come up with some great gift ideas that are unique and fun! 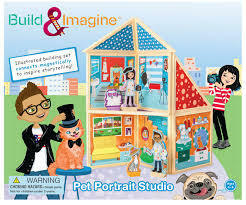 Capture your child's imagination and inspire her to build magnetic building and storytelling sets from Build & Imagine. Woof! Meow! Squawk! Help Anna and Ethan prepare the local shelter pets for adoption day by providing each pet with a special portrait. Build a studio with the illustrated magnetic panels, then dress the pets in crazy outfits and arrange wacky scenes for the dolls to capture with their camera and paintbrushes. Pet Portrait Studio includes Ethan and Anna wooden dress-up characters, 4 wooden pets, 10 dual-sided building panels, and more than 40 magnetic accessories. It features a painter's studio, photo studio, photo lab, pet lounge, treats, smocks, art supplies, pet costumes, adoption fair, a dozen pets, and more! These two new play-sets sharpen Build & Imagine's focus on empowering children to build customized scenes that spark storytelling. The themed playsets include illustrated magnetic panels that you construct any way you like, magnetic dress-up characters, and dozens of magnetic costumes and props. The Build & Imagine collection now numbers five and toy industry has taken note with an armload of awards (and counting) this year! Both Fairytale Theatre and Pet Portrait Studio encourage left (math/science) and right (creativity) brain play. Kids construct magnetic panels using foundational STEM skills like spatial reasoning and problem solving, and then make up storylines that heighten their language skills. Fairytale Theater has more than 50 costumes and props to spark imaginative play, and Pet Portrait Studio includes four wooden dress-up pets in addition to the two wooden people. These new kits appeal to boys as much as to girls making them ideal for sibling play or with the kids next-door. Winner of a Parents' Choice Gold Award! Over the years, the magic of Star Wars™ has always lived on screen and in our imaginations. Thanks to our advancements in technology, we've made it possible to bring a new part of Star Wars: The Force Awakens™ into your home. It's now possible to explore the galaxy with your own trusty Astromech Droid by your side. 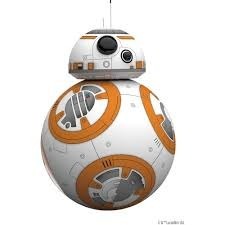 BB-8 is more than a toy - it's your companion. 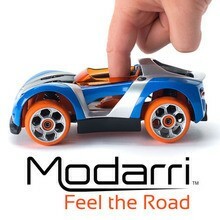 Modarri is listed as one of the latest and greatest NEW kids toys on the market. Since the launching of the Modarri cars at the Toy Fair in February 2014 these fun new interchangeable cars are finally available at retail stores. The Modarri cars feature real steering and suspension, real high grip rubber tires, and interchangeable parts for customization, which instantly turns anyone into an auto designer. The cars are easily operated by your finger when you press down on the bucket seat and will react to each movement your finger makes. These fun new cars will make a perfect gift for any car enthusiast in your family. Start your Christmas shopping early and be sure to buy the Modarri cars before they are all sold out. If you looking for easy to make and play craft activities for kids that do not require messy glue, paint, staples or a lot of cutting? PomTree has created mess free, peel and stick craft kits for kids. Hours of creative fun without all the mess for an affordable price of $13 or less. The PomTree kits make great gifts for the holidays or for a birthday. Beyond the thrill of making something from scratch, there's serious learning going on. Children build essential creative skills according to the company's website. "Bright colors and interesting shapes stimulate young minds, and figuring out exactly how things fit together exercises problem-solving skills. Photos provide a visual guide for builders, while stickers and embellishments offer plenty of options for a child to decorate each project and make it Their Own." You will also discover fun crafts and activities for kids on Hellokids.com. Locker chic with LockerLookz. You now can express yourself by dressing up your drabby metal school locker with fun, chic, colorfully fashionable locker decorations. You and your friends can unlock your creativity and add your own pizzaz to your school locker where you will have to store your school books and stuff all year. 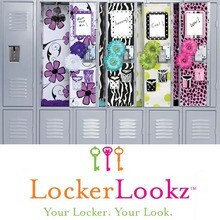 LockerLookz decorations make great back to school, birthday and Christmas gifts for that hard to buy for tween or friend. LockerLookz has everything you need to have the locker that everyone wants. Choose from locker rugs, wallpaper, magnets, chandeliers, frames, mirrors, storage and so much more at affortable prices. So become a locker fashion guru and get busy decorating with LockerLookz high-fashion locker decorations. Check out the amazing products from LockerLookz! Kaos continues his quest to rule over Skylands and discovers the location of the Cloudcracker prison, which contains the worst Skyland creatures. Kaos blows up the prison, freeing 40 of the most wanted villians, to build his new army. New Skylander heroes are introduced known as the Trap Masters. Trap Masters use a powerful weapon that uses a magical and rare substance called TRAPTANIUM. Trap Masters also have the power to capture their enemies and this is where Skylanders Trap Team reveals its new innovation. Once you have defeated the enemies of TRAP MASTERS, you can trap them and move them into a crystal (a crystal that fits into the new Skylanders TRAP TEAM portal). The villains then lose all their hostility and just fall into the ranks of the TRAP MASTERS being used to help other Skylanders. They appear as soon as you want, simply by pressing a button on the joystick, and then taking the place of the Skylanders placed on the portal. Together, they will form a strong team to go catch other villains. 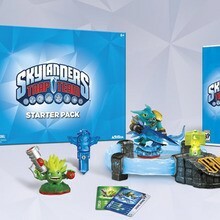 You can buy the Skylanders Trap Team starter pack at Amazon for $74.96 plus free shipping. There is lots of galactic Skylanders monster fun on hellokids.com with games and coloring pages of all your favorite characters. This USB charged small robot tracks lines to follow a path by reading different colors on the line to adjust its behavior. The Ozobot can adjust its speed, direction and path based on the combination of colored lines. You can use the mini robot on a tablet surface or onto a physically drawn path. The Ozobot's capacity for fun and learning are endless and introduces kids to simple coding, expands their imagination and encourages life skills such as deductive reasoning. 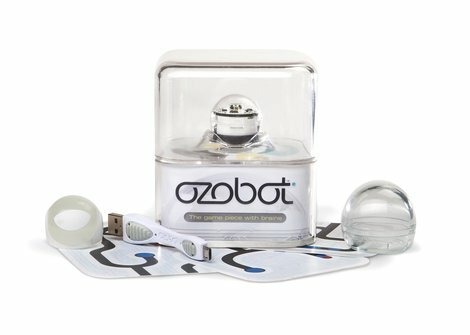 Ozobot will cost $59.95 plus shipping from Amazon. The package will include the Ozobot, a small plastic carrying pod, a short USB cable, and several mini "track" cards with patterns for the robot to follow. If Robots are your thing be sure not to miss all the Robot fun on Hellokids.com. There are coloring pages, games, face painting and how to draw tutorials. 'Tis the season for Crazy Aaron's special edition Holiday putty that makes the perfect stocking stuffer. The special edition Christmas Thinking Putty includes: 2" tins of Tinsel, Five Golden Rings, Candy Cane and lump of Coal ($3 each) or 4" Mistletoe Madness and Snow Angel ($14 each). For those who celebrate eight nights of Hanukkah can have fun with the beautiful Menorah Meltdown ($12). 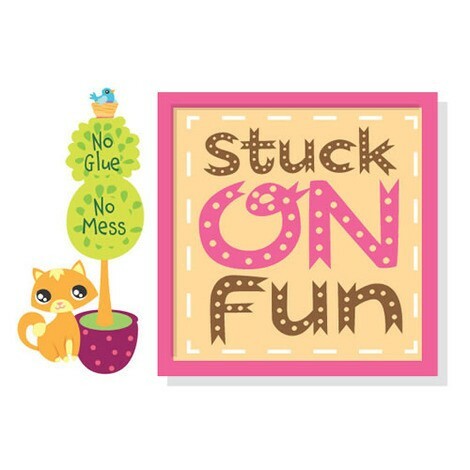 Check out all the fun putty ideas at Aaron's Crazy Putty World. Children can write their problems on a piece of paper and feed it into the mouth of their favorite SORGENFRESSER. 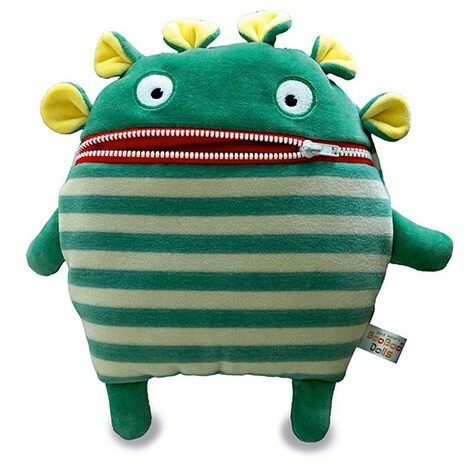 With the problem in the mouth of the worry eater, parents have the opportunity to discover the root of the problem. You will find all your favorite Sorgenfresser worry eaters on Amazon.com or from the exclusive North American distributor by Haywire Group. We will keep this list updated to give you more ideas so be sure to check back with us!